I'm trying to get through the books I picked up at ArmchairBEA and Boyfriend from Hell was one I was really looking forward to reading. Unfortunately, I kept getting side tracked by library books and just not enough time in the day to read. Luckily, this was an easy read and even when I had to set it aside for days on end I could easily jump back into the story. With such a title and that it is a young adult book, I was hoping for a bit more humor. Even with the lack of laughs, it was a good book. In the beginning, I related more to the mom Suze and her dating woes as I have not been in Megan's shoes of having a single parent wanting to date. But the more I got to know Megan the more I could relate as I recalled my days in high school and by the end I could empathize with her and kind of wanted to tell her "friends" off for abandoning her. Probably the best thing about Boyfriend from Hell is it sets up the series well. 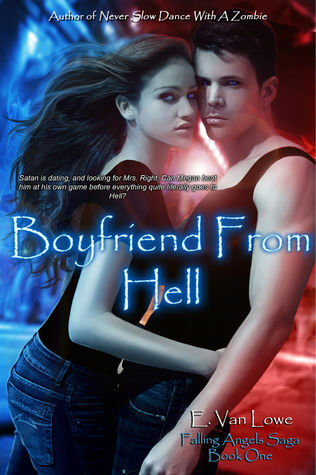 Hopefully, the sequel Earth Angel will be able to build on the momentum started by Boyfriend from Hell. I am also hoping we get a little more insight in to Matt. Something about his confession seemed contrite and forced and I wonder if we don't have the full story yet, or if it was a plot misstep.